This is SO much more than a race! This is an awesome event to honor and celebrate the cancer journeys of brave young cancer warriors. This beautiful certified 5k course through downtown Abacoa ends at home plate in Roger Dean Chevrolet Stadium! The course is flat and fast, and lined with superheroes (bring your camera!). Bring your friends and start a team. There’s a prize for Best Team Name, Best Fundraiser, Best Fundraising Team, Best Superhero Costume (Adult), Best Superhero Costume (10-18), Best Superhero Costume (10 & under), and Best Dog Costume. GOLD Beads for BRAVERY at the Finish Line. 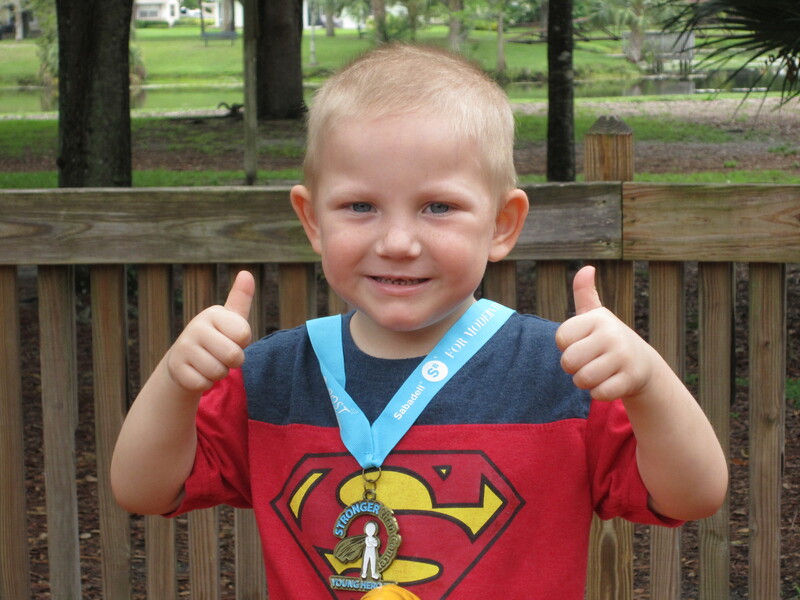 Gold is the color of childhood cancer and Sept is Childhood Cancer Awareness Month! Show your colors! Participants of the untimed 1 mile Fun Run (or Walk) will also get GOLD Beads at the Finish! This family-friendly event also has an amazing Kidz Fun Zone for the young and young at heart. Kids between ages 4 and 10 can run the 100 yard Young Hero Dash, while kids under 4 can participate in the 10 yard Diaper Dash. Those will take place on the warning track inside Roger Dean Stadium. 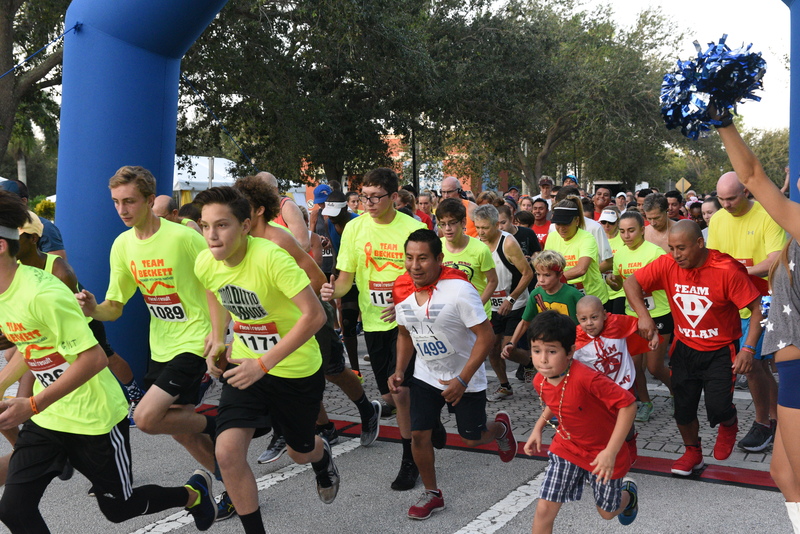 A select number of kids will be chosen randomly to run the bases at Roger Dean Stadium. We invite you to visit our Honor Wall where you can leave a message of inspiration on the Survivor Celebration Wall or the Loving Memory Wall. COURAGE CAM Returns! Make your sign and then go on video with your story! Inspire us.